After giving birth to an illegitimate son, Sarah Dewey left for Australia aboard The Hornet. A family rumour finally unravels into a story of difficult choices. Years ago I recall being told about a story in my maternal Dewey family from Witchford, Cambridgeshire, that, although rather scant on details, was essentially a story of emigration and how its impact ‘broke up’ the family that were left behind. Having researched the Dewey family group in which it was believed to have occurred, I had found nothing. No sign of anyone leaving for foreign shores, other than those in the First World War. I gave up looking. Perhaps it was just an idle rumour with an element of ‘Chinese whispers’. However, it was a message from fellow researcher and distant relative Craig Watson who gave me the piece of information that I needed – his ancestor had emigrated, and he had found one of my ancestors in the passenger lists. In 1856, 18 year old Sarah Dewey gave birth to a son. She was not married. Just days after he turned six months old, she left for Australia without him. I can’t begin to imagine what it must have been like for Sarah, my Great Great Great Grandmother to decide to hand her son (my Great Great Grandfather) over to her ageing parents and leave everything behind to start a new life in Australia in the mid nineteenth century. An illegitimate child brought with it a significant stigma. Not just for the mother, but also for the child, who would find it hard to escape from the negativity from the disapproving society around them. Illegitimate children were often brought up by their grandparents – making them appear to be a sibling to their own mother, or the mother would soon marry in a bid to avoid the ‘shame’ of being an unmarried mother. As for the baby, John Freeman Dewey – my Great Great Grandfather, he married Elizabeth Boulter, a seamstress of the neighbouring village of Wentworth, and also a single mother. Together they went on to have nine children. Perhaps Sarah knew that her son John Freeman Dewey would stand a better chance in England with his grandparents, rather than with her on a lengthy voyage at sea to an uncertain future in a ‘new’ country? Was Sarah running away? Had she faced problems in England and thought that a new life was the best thing? Had she fallen out with her parents? Unless letters miraculously appear, I guess I’ll never know. 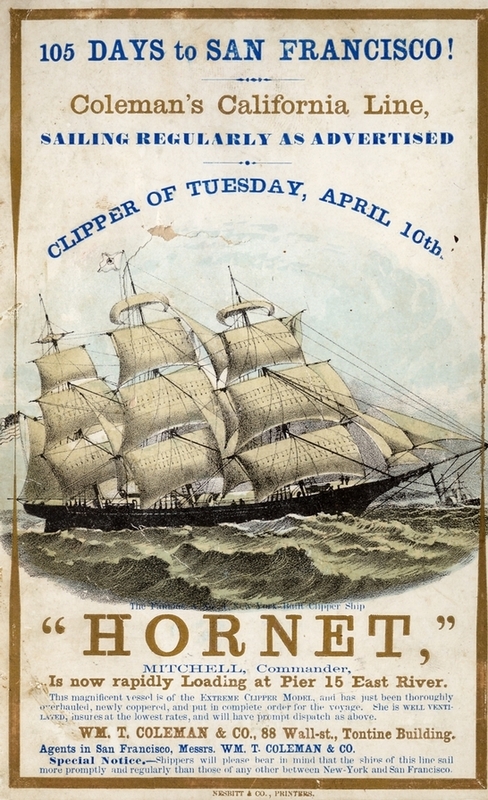 On 24th May 1857, Sarah boarded “The Hornet” – a clipper which was well known for its speed. Sarah is noted as ‘government assisted’. She arrived in Hobson’s Bay on Wednesday 2nd September, according to the ‘Shipping Intelligence’ column in The Argus newspaper. I’ve found no record of her activities whilst in Australia – so far there’s no clue as to what she did, who she met, or whether she wrote home to her parents and son. Her younger sister, Rebecca Dewey, followed Sarah out on an 87 day voyage aboard the ‘Commodore Perry’ to Australia in 1859, but unlike Sarah, Rebecca stayed in Australia. She married a Cornwall-born Joseph Kendall and settled with him in Geelong with a family of eight children. It is from her, that researcher and distant relative Craig Watson descends. Something made Sarah return to her family in Witchford in 1861, just missing the census, aboard the “Donald McKay” clipper. Perhaps it was her mother’s ailing health that made her return? Her mother, Mary (née Tabraham) died in 1866 although I do not currently know her cause of death. Her father re-married to widow Isabel Watson in 1878, and Sarah herself finally settles down to marry at 42 years old, to widower John Gooby in 1879. 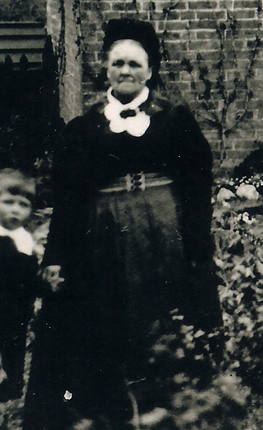 Sarah died in 1896, just weeks before the birth of my Great Grandfather.